Negotiation skills are essential to the work of a successful procurement professional. The ability to negotiate favourable contract terms contributes significantly to the value you add to your business. 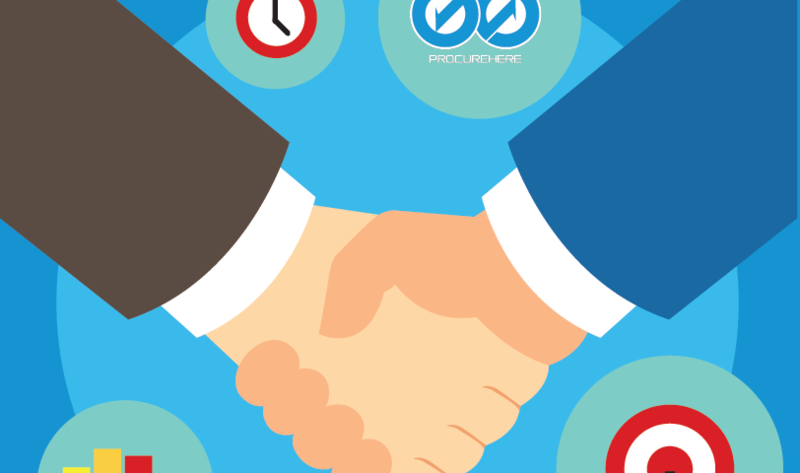 Even with increasing adoption of e-procurement, negotiation remains a crucial element to a winning procurement strategy. Digital solutions offer a powerful new tool to enhance our procurement function, and integrating them successfully into a business provides a valuable complement to the traditional skills which underpin the industry. At its heart, that industry is still one based on knowledge of our suppliers, positive relationships, and how we manage and negotiate them. So, with a healthy dose of self-reflection, how do you negotiate your way towards success? It would be easy to view negotiations as a series of one-off events. The business reality is that excelling at negotiation requires detailed preparation. Some industry leaders cite preparation as the key to scoring the negotiation process. So how do we make sure we’re building a solid foundation for our negotiations and not just a flimsy house of cards? Let’s negotiate these troubled waters together, as we explore 5 key areas to develop your procurement function through improving your negotiating skills. We’re not saying you should charge into a negotiation with your sword-arm raised. But whether you believe it’s 80% of the process, or that 90% of statistics are made up on the spot, the fact is success in negotiations is built on good preparation. The more you understand about the organisation and individual you’re negotiating with, the better armed you are to appreciate the challenges and opportunities that you can tap into to achieve a successful resolution. Don’t fall into the trap of just studying the other party however. Make sure you’re certain what your organisation needs and wants out of a resolution. Understand where you can be flexible, what power you have to adjust your offer, and what the ultimate key goals are for you in the negotiation process. Good negotiators might keep their cards close to their chest, but great negotiators are happy to reveal just how much they know. All that preparation you undertook to frame your negotiation offers the perfect opportunity to convince the other party of the strength of your persuasion. Show your understanding of the market, of the other party’s business, and use that knowledge to drive your own arguments. People are far more likely to respect and be convinced by an individual who reveals a detailed understanding of the circumstances of a negotiation. It’s not just knowledge that helps build persuasion, but a personal connection. Get to know the people you’re negotiating with, and don’t be afraid of letting them get to know you. Ultimately you’re people working in overlapping areas of business, there’s a good chance that will form a solid foundation for a connection in itself. It’s also important to remember that negotiations aren’t one-off events. That means building a personal connection now will help cement business connections that are likely to be beneficial for all parties into the future. Negotiation isn’t about a list of demands that the other party must eventually concede to. What you’ve described there is a hostage situation. Negotiation is about two parties reaching a mutually satisfactory resolution based on discussion and understanding. Yes, you’re going in there looking to achieve the goals of your business, but doing so will almost certainly mean being flexible with those requirements to ensure the other party achieves their own goals in tandem. Ensure you know which of your goals are set in stone, and which can be adjusted to achieve a resolution. Not every negotiation will turn into a success. Accepting that you might have to walk away is a key part of a good negotiation process. That doesn’t always mean giving up on a situation, but sometimes space to breathe with a break in the process can be positive all round. It’s also helpful to ensure the other party knows that you’re willing to walk away. If you overplay your need to come to any sort of deal at all, the chances are you’re losing the power to negotiate that deal to best meet your goals. Walking away isn’t a failure if the alternative is a bad deal. Just be sure and walk away on good terms.